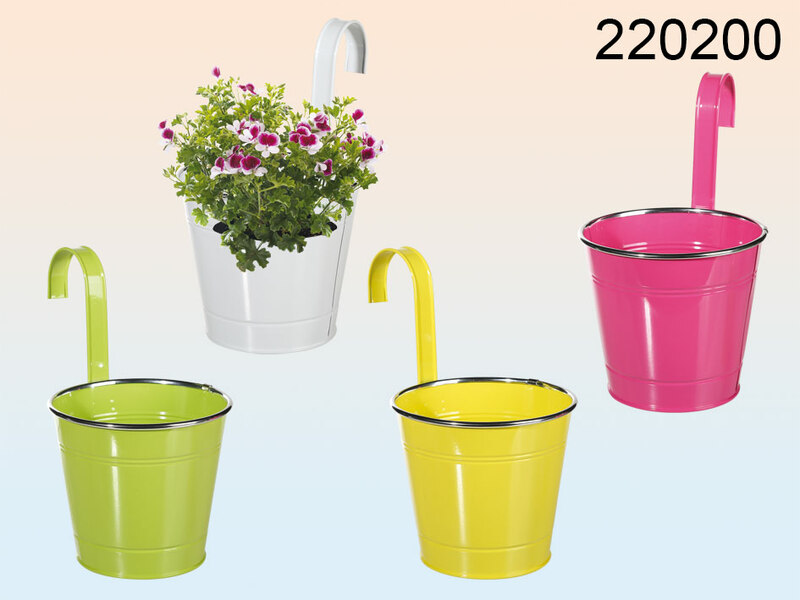 Metal plant pot for hanging in eye-catching juicy colours. Great for flowers and herbs. Lovely home and office item. Assorted colours. Dimentions: 26 x 16 x 16 cm.